I'm so excited to introduce to you our latest YouTube talk show "Two Besties Together" (TBT) which stars my bestie of 10 years, Malia Baldovi and myself. We are both executive producers on the talk show. This is our first time collaborating and we couldn't be happier with the response with EPISODE ONE, which premiered on Thursday, January 17, 2019. We've gotten hundreds of views already and the premiere episode continues to climb in views thanks to you all. Please share the episode with your besties, friends and family. We spent a lot of time putting "Two Besties Together" and did our best to make it as entertaining as possible for all of our diverse viewers and followers. Please make sure to follow Malia on her social media profiles @maliabaldovi and myself @thomasorlina. We currently have over 500 followers on Twitter (@twobestiesshow) and just created our Snapchat account @twobestiesshow. As the first season of "Two Besties Together" goes on, we would like to connect with you further so please subscribe to our YouTube channel down below. We are excited to announce that we are currently working with a songwriter and choreographer for a special project for “Two Besties Together.” I’ve always wanted to have my own single on iTunes and Malia has expressed interest in exploring the same endeavors as me so stay tuned to our social media profiles for updates! More talk show announcements and episodes are coming so please stay tuned! Thank you and we'll talk to you soon. EPISODE 8 definitely delivered with a bang in the beautiful town of Tagaytay. Before going to the Philippines, I wanted to make it a mission to do something adventurous so when I was presented with a chance to zip line, I said yes! It was really thrilling and worth it. I did get really frantic towards the middle part of the zip line but just told myself that it was going to be fine. If you’re in Tagaytay, definitely check it out! We also visited my family museum called Museo Orlina. My grandmother spoke highly of it in the past and I’m thankful I got to visit and see all of the iconic artwork and sculptures. It’s been such an honor to share with you these 8-episodes which I’m so thankful to have captured on video. When I was a little kid, I always dreamed of visiting the Philippines and I never imagined I’d get to explore the country this way. I have a few people I’d like to thank. Sonia, thank you for your trust and belief in my ability to produce a show for your company. Manila Up! TV Entertainment was the perfect partner for this project and to connect with the Filipino community that I love. These episodes were first seen on Manila Up! TV Entertainment on television in TV markets in the United States. It was also distributed on an app globally. I’d like to thank all of the people who I met in the Philippines that really made my experience special. Lastly and most importantly, I’d like to thank all of my followers and people who have tuned in week after week and followed this journey. This is the end of the season for my spin-series, “Your Time With Thomas: The Experience” but also the beginning of something brand new coming soon that you won’t want to miss! There’s more content coming to the “Your Time With Thomas” YouTube channel so please subscribe, comment and like my video content. Let’s stay in contact on social media. Follow me @thomasorlina and visit my website thomasorlina.com. See you all on my next project! This has been so fun sharing my journey around the Philippines with you all. Once we arrived back from the island, Coron, Palawan, I had one day to really roam around the city. Manila is where my family is from so it was important for me to checkout the local markets and really absorb the life and culture out there. I road a jeepney which is one of their forms of transportation. It was a lot of fun. I’m the type of person who really enjoys experiencing new things, so this was on my bucket list! I wasn’t going to leave Manila without riding one! While in Manila, we stayed at a Shangri-La property, which is one of the nicest resorts worldwide! I highly recommend staying at one especially while you’re visiting the Philippines. Their hospitality is unmatched. Manila is a great place to visit. Their food was great and the people were extremely friendly and kind. I was humbled by this experience and thankful to have spent a lot of time with my relatives. Overall, driving around Manila and spending time there was a lot of fun and I can’t wait to come back and visit again soon! One more episode left of this spin-off series and the most dramatic one yet! I can’t wait to show you around a place in the Philippines called Tagaytay. I do something really crazy while visiting! Don’t miss EPISODE 8 next Sunday! If you aren’t already, please make sure to subscribe to my YouTube channel. Please like, comment and share the video with your friends and family! For more of me, follow my social media @thomasorlina. Thanks to everyone who watched EPISODE 6 of my new YouTube series, “Your Time With Thomas: The Experience.” It’s been really cool connecting with you all on social media and hearing your thoughts on all of the episodes! This was one of my favorite episodes from the series. Coron, Palawan is such a beautiful island with so much to do. In this episode, we get on a boat to visit various parts of the island. The weather was perfect this entire trip and I really felt at home. This was my first ever trip to the Philippines and I’m very thankful to have gotten to visit this particular island. The island is a bit more reserved than Boracay in my opinion and has more of an exclusive feel to it. I highly recommend going on the boat tour. The tour cost is under $20 USD and includes food. It’s a very organized program and the staff are all very friendly. In this episode, we also experience snorkeling and seeing all the beautiful coral and fish. I had a blast! This was considered a paid activity which cost about $5 USD. The episode concludes with us back at the airport heading back to Manila! Thank you SkyJet Airlines for sponsoring this episode! If you plan to visit Coron, Palawan in the Philippines, make sure to book using FlySkyJetAirlines.com! You do not want to miss the next episode that comes out next Sunday where I tour you around the city! In EPISODE 5, we head off to Coron, Palawan. I was looking forward to visiting this island. Months before the trip, I was shopping at The Grove in Los Angeles and saw a huge billboard of Coron, Palawan on their marquee. I had a feeling then I was going to like it a lot. We flew to Coron, Palawan on SkyJet Airlines, which is a new popular private jet airline company. Their service was spot on and we had a great experience. I highly recommend booking with them if you plan to visit the island. This entire journey has been really special especially being able to experience everything with my dad. Ever since I was a kid, it was always a dream of mine to go to the Philippines. Upon arrival, we checked in our hotel, which was located in the heart of the island. To my surprise we got onto a tour bus and quickly realized we were the only Filipino people on it! Coron was turning out to have a very diverse crowd and that was really unexpected. Our tour guide was great! We drove around the island and went up Mt. Tapyas, which had a great view. The tour ended at the hot spring which was really the perfect ending to our first night in Coron, Palawan. We spent two nights in Coron and I can’t wait to show you what happens next in EPISODE 6! Thank you all for your continuous support with my YouTube channel and all the projects that I’ve created. Please make sure to subscribe to my YouTube channel and follow @thomaorlina on all social media. Looking forward to sharing with you the remaining of my 8-EPISODE series! Each of the 8-episodes is going to have a different vibe to it and highlight different parts of my experience while traveling in the Philippines. The show is shot completely in order so you’ll be able to feel like you’re with me the whole time. In the premiere episode, I really wanted to capture our arrival to the airport so that you could feel part of the journey with my dad from the very start. The TSA line at LAX International Airport went really well for us so that was a relief. We flew on Asiana Airlines and the people on the plane were pleasant. They gave complimentary wine and we had several meals during the duration of the flight. We actually had a layover in South Korea during the time the Winter Olympics was going on but I decide for purposes of giving this show a very Philippines driven concept not to film there. It was however shown on my Instagram story and Snapchat posts. Once we arrived to the Philippines, I pretty much mentally prepared myself for blazing hot weather but to my surprise, it wasn’t as bad as I expected. I’m use to hot temperatures especially being someone who loves Las Vegas so going to the Philippines in February is ideal if you don’t want to deal with major heat. It’s been known that the months of May and June often produce the worst conditions there, so I recommend avoiding traveling to the country those months. Once my dad and I got into my relatives car, we were driving around the city and it hit me looking around the atmosphere that we were officially in the Philippines for the next 14 days. The atmosphere was really mind blowing especially not having been there before. We spent the day walking around the various neighborhoods and I ended up treating myself to a massage for $5 for 1 hour. Yes, you read that correctly. It was wild to know how inexpensive things were there. After that we went to go exchange our American money and had a wonderful bonding experience throughout our first day with our relatives. That night we slept really early because we had to go back to the airport to fly to the next destination in the Philippines on our itinerary. The episode concludes with me getting on a tricycle which cost 50 cents to ride. That’s a common transportation for people in Manila and across the Philippines. I loved riding on it. Next Sunday, August 12 at 8 PM make sure to watch EPISODE 2 where I take you on an adventure on a tropical island called Boracay! If you love tropical islands, you won’t want to miss the brand new episode. As I mentioned, this spin-off series will be bi-weekly so you guys have time to watch the episode first and also have a bi-weekly routine visit to my website thomasorlina.com for the full blog recap! It’s great for me to have all these blogs written down to share my experience more in depth with you. Make sure to please follow me everywhere online @thomasorlina and subscribe to my YouTube channel Your Time With Thomas. Special thanks to The Advocate Magazine for writing up a brand new article about me and all my efforts in building this brand for their August 2018 issue. Make sure to read it on Google news or the Advocate.com. I’ve been reading a lot of messages from people in different parts of the world that have expressed their excitement on the premiere of my new YouTube spin-off series, “Your Time With Thomas: The Experience.” I can’t believe we’re one day away! Just to give you an idea of what to expect, the series itself is 8-episodes and are all under about 5 mins each. It’s a travel like series that takes you on a journey of a lifetime to the Philippines. I think you are really going to enjoy the new shorter format of the show and also be interested in the places we visit. We started filming this show in February and packaged it just in time for a spring/summer release. Thanks to my followers who helped me pick all of the song choices. I enjoy using social media to ask and get opinions on my various projects. It’s a great focus group! The day of my trip I had no idea what to expect. I do recall leaving the studio and being really excited to have an opportunity to explore a new country. 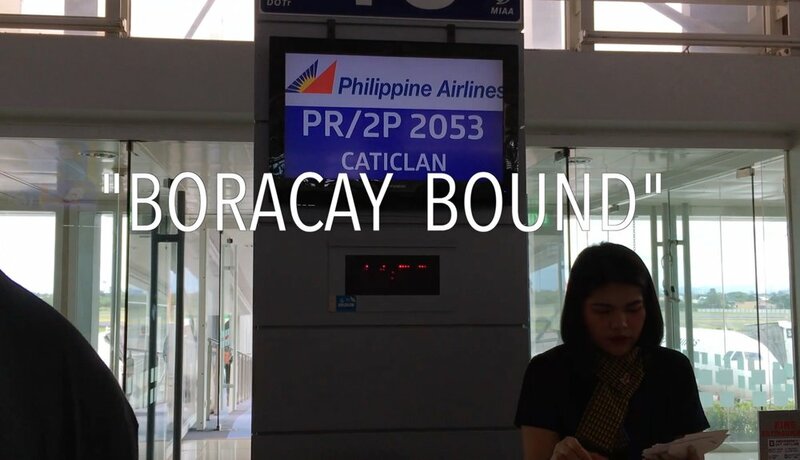 Episode one shows us arriving to the airport and also captures our journey inside the Asiana aircraft as we headed to Manila, a major city in the Philippines. Once we arrived, I was really happy to see my family members at the airport who live there. We stayed with them for a few nights and from then on went everywhere we could in the Philippines. We flew on 4 different airplanes while being there and did a lot of sightseeing. When you follow the series, you’ll really get to see all of the amazing things the Philippines has to offer. The first episode airs Sunday, July 29th at 8 PM PST on my YouTube channel and will be airing bi-weekly. The weeks the episodes will not be airing, I’ll be putting up a new blog and sharing my thoughts on thomasorlina.com. Please make sure to subscribe to my YouTube channel and press the bell notification so you don’t miss a thing! Thanks to Manila Up! TV Entertainment for bringing my original vision for this spin-off to life for television viewers in Los Angeles and Las Vegas. This collaboration allowed me to connect with amazing directors, producers, writers, journalists and activists! It also allowed me to be on the cover of their magazine and most importantly gave me a chance to connect with the Filipino community, a community I’m very proud to be a part of. Now that the show has been seen by television viewers, I’m thrilled to share the show with the millions of subscribers on a global platform like YouTube.com! That’s all for now but feel free to connect with me everywhere on social media @thomasorlina. I'm so excited to have launched the new promo ad video for my upcoming YouTube spin-off series, "Your Time With Thomas: The Experience." If you haven't watched it yet, visit my Instagram page @thomasorlina or visit the Your Time With Thomas Facebook page! My team and I put a lot of work into it and I'm really thankful for all of your messages and supportive comments. I received a lot of support with the release of my original season one YouTube series, "Your Time With Thomas" that I know you're going to really enjoy the spin-off. Currently the show has been seen by over 30,000 people around the world. It's quite rewarding to see all of the hard work we've done pay off. Please share the episodes with your friends and family! As the creator and executive producer of the show, I designed and produced each episode to provide meaningful content and important takeaways. It was also made to visually look timeless so as the years go on, each of the episodes will still feel very current and fresh. I've always enjoyed being in front of the camera since I was 5 years old, so being able to have my own brand of shows is something I'm really proud of. As I promised previously, I'll be using this blog on thomasorlina.com quite frequently so you can follow along the new spin-off series! This spin-off show was a collaboration with Filipino television company Manila Up! TV Entertainment. To give you and idea of what to expect of the spin-off series, it's a documented trip of my experiences in the Philippines that I'm experiencing for the very first time. I take you on adventures, sightseeing and much more! I also take you behind the scenes of my live TV interview with CNN where I was interviewed to talk about the various content I've created and discuss the importance of highlighting diversity in entertainment. Everything you'll see was captured in real time. It's a total of 8-episodes that are all under 5 mins. This trip was shot entirely in order so if you're overdue for a thrilling vacation, consider this the perfect show to follow along. I'm a proud US born Filipino American so this spin-off series really means a lot. I can tell you this trip was life changing. Being around all the people and soaking in the culture gave me a new outlook on life and has really humbled me. Some exciting news! This Sunday, July 22, I'll be starting a 7 day countdown in honor of the premiere on Sunday, July 29 at 8 PM PST. There's 7 different visuals that are all part of the new series so I can't wait to share them with you. If you haven't subscribed to my YouTube channel, please do so by searching Your Time With Thomas and make sure to press the notification button so you don't miss anything. I'll be back to chat more with you but until then, connect with me everywhere online @thomasorlina! I hope you all have been doing well! It’s been a minute since I’ve been back blogging on thomasorlina.com but I’ve received a lot of messages over the last several weeks asking me to return, so here I am! This show for the record was inspired by five reality television shows. MTV’s “The Real World,” “The Simple Life,” MTV’s “The Hills," Keeping Up With The Kardashians" and Bravo's "The Real Housewives" franchise. I can’t believe it’s been 365 days since I released the premiere episode of my show. Seems like only yesterday I was sitting in my room producing all of these ideas and filming with my team around Los Angeles and Las Vegas. For those of you who have been following my journey, then you know my team and I have come very far and are continuing our quest to take the show to the next level. We’ve gotten a lot of great feedback and I’ve met a lot of powerful people in the entertainment industry who love the show! Each of the 8-episodes I created were so meaningful and over the course of the last year, I’ve received countless messages from followers and fans around the world letting me know how much they enjoy watching YTWT! Just to catch you up, in the last 6 months, “Your Time With Thomas” has been featured in multiple magazines, been featured on a live TV interview for NBC, magazine covers, newspapers articles, online articles, aired on television in Houston, Texas for an 8-week run in November 2017, made it to number 9 on the top national stories on MSN.com and this year became an international news story on CNN in the Philippines where I was interviewed on live television. All of this wouldn’t have been possible without the viewers who are so dedicated to the show and continue to support my journey! It’s your encouragement and belief that I can do this that really keeps me going! If you want to see fans from the show, be sure to check out my fan show, “Your Time With Thomas: The Shuffle,” that can be found on my YouTube channel. During the Christmas 2017 holiday, I was approached by the president of a popular Filipino entertainment company titled Manila Up! TV Entertainment to join their new venture into television. It was really fitting that they contacted me because I was already inspired to make something new. I wanted to create something fresh for my viewers. Rather than jumping into doing a season two right away after season one, I wanted to follow in the footsteps of reality tv and take this time to create a “spin-off” show in between seasons. To make that decision, I created a poll on Instagram story and the majority of my followers wanted to see a spin-off show first before I released a season two, so that’s what I ended up producing. Once I had my idea together, I signed a deal with Manila Up! TV Entertainment and began our collaboration. On April 1, 2018, the spin-off show of “Your Time With Thomas” titled “Your Time With Thomas: The Experience,” made its television debut! The spin-off show that I launched with Manila Up! TV Entertainment on television aired in local markets like KXLA (Los Angeles), ACTV (Las Vegas) and the ACTV-05 the app globally alongside some highly respected talent that I admire. My segment received a lot of public attention especially with global news outlet, INQUIRER, who wrote an article about the success of it. The article is titled “Fil-Am YouTube star Thomas Orlina creating own brand” and can be found on Google news. Now that you’re all caught up! 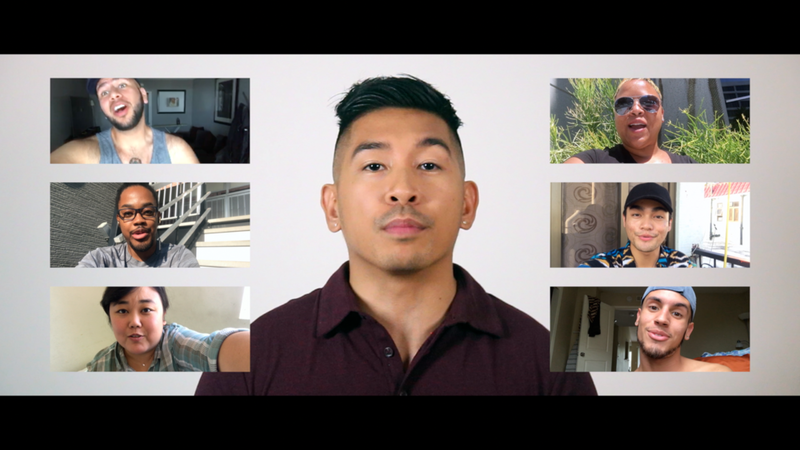 I’m so excited to announce that on Sunday, July 29, 2018 at 8 PM PST, I will be airing those same 8-episodes on my YouTube channel, providing you with brand new content for the summer. Expect a different show than my original show, “Your Time With Thomas.” If you’re looking for quicker content to look at, then this is for you! My new spin-off show, “Your Time With Thomas: The Experience,” is 8-episodes and about 4 mins in length. This season you’ll be treated to my very first time visiting the Philippines with my dad. It was such a personal trip that I’m so happy I get to share it with my followers and fans on the internet. The show takes you on an exotic and breathtaking adventure. We go zip-lining, island hopping and I take you behind the scenes of my live TV interview with global news brand, CNN! I’ll be posting more frequently on my blog, so let me know what you’d like to hear from me. We have so much in store for you this summer and some surprises for the remaining of 2018! The new commercial ad we produced for my new spin-off show “Your Time With Thomas: The Experience” airing on my YouTube channel on July 29, 2018 at 8 PM PST drops next Sunday, July 15, 2018 at 8 PM PST! Happy summer everyone, you’ll be hearing from me every week the show airs on my YouTube Channel! If you aren’t a subscriber, please do so now and make sure to turn on the bell notification so you don’t miss out! Till next time, find me all over social media by looking up @thomasorlina! Hope you're having a great Halloween weekend! So excited to share with you the last episode of THE SHUFFLE! I've had such a great time interacting with you week in and week out! This week I asked you guys what you want to see from me next? Also, I mentioned I'll be picking 10 people to hang with so make sure to check your DM's! I loved your responses and really going to take them into consideration for my future endeavors! It's such a bittersweet moment to know this is the last episode of THE SHUFFLE this season but it's also the beginning of me starting my next career venture! Truly when I started I had the highest hopes for my YouTube series but had no idea the show would be featured on NBC NEWS and be featured in multiple publications written by journalist I respect and have been a fan of for years! This has been such an amazing journey and for everyone who participated in my series and THE SHUFFLE I'd just like to say thank you from the bottom of my heart! My family have been so supportive and I'm so grateful to them! Stay connected to me everywhere on social media @thomasorlina and also make sure to subscribe to my YouTube channel with Your Time With Thomas for brand new updates coming very soon! Hope you all enjoyed the Season 1 finale of my show! I can't believe how fast time flew and I can't tell you how much I appreciate all your love and support over the past 4 months with this dream of mine! I had this goal of creating my own show ever since I was a little kid and I finally did it! I spent night and day writing out each concept, writing out what topics I felt were fun and relevent to dive into and I received so much positive feedback! This episode as you can imagine was so much fun to film! I got my friends with me to Vegas and we had the best time! I truly feel like Vegas is my favorite city! There's so much to do and I guarantee you will have a great time! So much has gone on in the past four months! I've been receiving a lot of press and we have been featured on television and in print! This is just the beginning of a new chapter and there are so many more fun and exciting things I have planned so make sure you're subscribed to my channel and following me everywhere online @thomasorlina! Just a reminder THE SHUFFLE airs Friday so stay tuned for new details on what the topic is! Another great episode of THE SHUFFLE! I really enjoyed watching all of your selfie videos on how you stay fit! In EPISODE 7, I really opened up and shared my workout tips so I thought it would be fun for you guys to share yours. I think anyone who watches this episode of THE SHUFFLE is really going to learn something new and hopefully your routines help them! It's really hard to believe this but we only have ONE more episode of THE SHUFFLE left and the season finale of Season 1 of my series YOUR TIME WITH THOMAS airs this coming FRIDAY, OCTOBER 20th! When the series first aired on July 7, 2017, I felt like it was going to take a while for these days to come and here we are, days away! Hope you're having a great weekend! I'm currently in Las Vegas with my family and meeting a few of my local friends! I consider Vegas my second home! Remember again, don't miss the Season 1 finale airing this Friday when I head to Las Vegas with my crew and make a very exciting announcement! It's hard to believe this is the last episode before the Season 1 finale! This journey has been incredible and the amount of support from you all has made it even that much more special. In EPISODE 7, I really wanted to talk about wellness, working out and the importance of taking care of our bodies. ECHO PARK is such a beautiful place to go. I really recommend going and it's only $10.00 per person. I would recommend it for going on a date or just zoning out with your friends. The gym is not my happy place but like I said we all need to go in there to stay healthy. It's important to make sure you are watching your diets as much as you are working out. It truly defeats the purpose if your diet is bad. Tennis and Runyon are also two places I knew I wanted to film for the series. I spent a lot of time writing out each episode. This one in particular. I really enjoyed hanging out with my friends in this episode. Looking ahead to the Season 1 finale, I will be heading out of town and also sharing some big news that's happening to me! You won't want to miss how this season ends! This FRIDAY my segment THE SHUFFLE returns so keep an eye out on my IG/SNAP stories to find out what topic we're discussing! Please make sure to like, comment and subscribe to my channel for more new content! Hope you all are having a great weekend so far! I get so excited doing THE SHUFFLE because I love interacting with my audience. This week's topic was, "what's your dream job?" I asked that question because in EPISODE 6 I talk a lot about my career and was curious as to see what you guys want to do and what your interest are. This journey with Your Time With Thomas has been really exciting! I've been featured in new publications and it's all thanks to everyone who has believed in me and the show. We have more episodes coming up so you definitely want to make sure you're turned in. Don't forget, if you want to win the merch t-shirt, please make sure you're subscribed to my channel, liked & commented on EPISODE 6! This coming FRIDAY in EPISODE 7, I take you to my favorite hiking trail and also play some tennis! Get your fit face on! See you FRIDAY 10AM PST for a brand new episode! Can't believe we're already at EPISODE 6! This series has been flying by but I've had so much fun along the way. I've been asked often how did I end up getting to work in the entertainment industry so I knew when producing this series I was going to find a place to really discuss my journey and share my secrets! I hope that this episode has really helped people get a better understanding of what you need to do to really get your foot in the door. Just always remember to have a great attitude and you will definitely make it! Looking ahead this Friday I'm doing another episode of THE SHUFFLE! I've gotten submissions already but if you'd like to participate, please let me know. It's a great way for us to get to know each other! I hope you all have enjoyed watching the episodes and I'd love to hear your feedback! Please make sure you are SUBSCRIBED to my channel Your Time With Thomas and that you are following me everywhere on social media @thomasorlina! Thanks again for your continued support on my YouTube channel! We just hit over 17,000+ views and over 400+ subscribers!! Happy Sunday! Hope you are having a great one. I had so much fun doing THE SHUFFLE this week and hearing about where you're from and about your culture. The great thing about THE SHUFFLE is seeing how diverse my audience is. From Jamaica to Hong Kong, I can't thank you enough for supporting the show and watching every week. The merch this week is super cool. It's an iPhone case and I'd love to give it out to anyone who's subscribed to my channel and liked/commented on EPISODE 5. I'm super proud of my Filipino culture and so happy all of you are proud of cultures. Looking ahead, I often get asked how I got in the entertainment business and on this week's EPISODE 6 I open up about my experience and give you my top 3 tips on how to successfully get there! Make sure you are all subscribed to my channel. It is crucial that you are! Thank you again for all your support on my journey with Your Time With Thomas! See you guys FRIDAY 10AM PST. This episode is so special to me. When I was producing the series I definitely knew I wanted family to be right in the center of it all. They mean so much to me and I'm so happy viewers were introduced to the Filipino culture and to my 2 year old niece Annalynn. She has brought so much joy to my family. I love her so much! I'm also happy you all were introduced to a charity that does amazing things for other people. Project Angel Food is the best place to volunteer. Thank you to them for allowing my crew to come in for the day and film my show. We had an incredible time! Looking ahead to this coming Friday, we are releasing a brand new episode of THE SHUFFLE. I look forward to hearing from you guys every week. Be sure to follow my Snapchat and Instagram story to find out what selfie videos I want from you. Just a reminder to please make sure you have hit "SUBSCRIBE" on the YouTube page. It's super important that not only do you watch the episodes but that you are subscribed to my YouTube Channel.